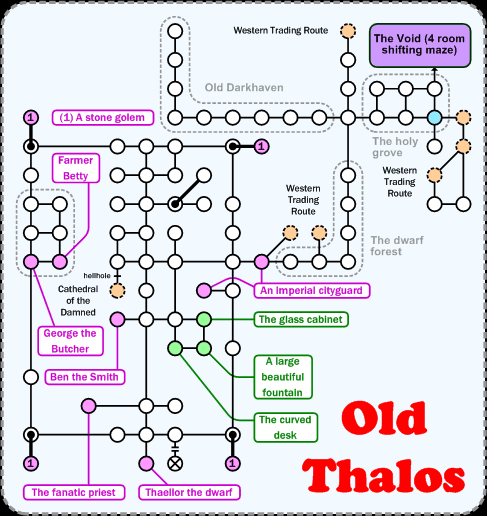 Old Thalos isn't as cool as it was before the Shattering, as the void doesn't go anywhere now. It's still interesting from the point of the view of the story though, and by exploring the differences with Thalos. Walk ( 41w, 7n, 2w ) to get from DH to the room marked in blue.